Jupiter is 741 million kilometres from the sun. 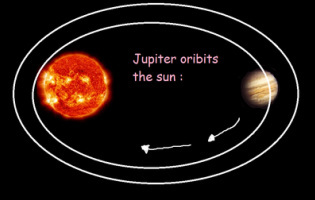 for Jupiter to complete one single orbit. has completed, is approximately 1237 orbits.